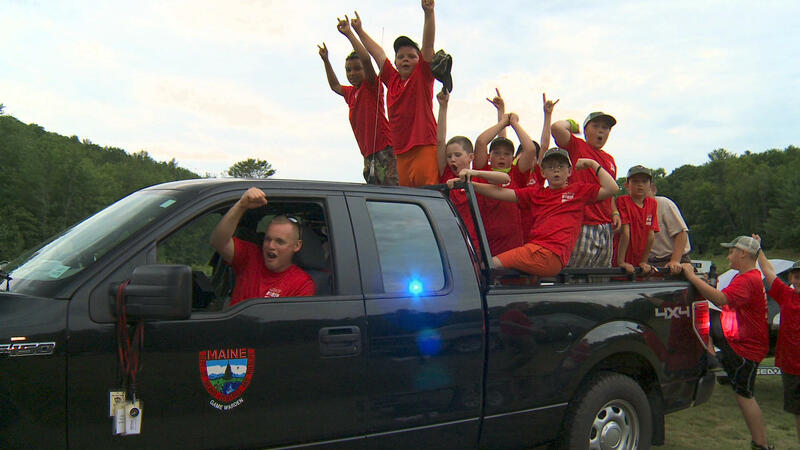 In 2015, the Maine Warden Service launched an annual summer camp in which kids get to spend a week living with and learning from the real-life stars of NORTH WOODS LAW. We recently reached out to the Warden Service's Corporal John MacDonald for the inside scoop on "Camp North Woods." 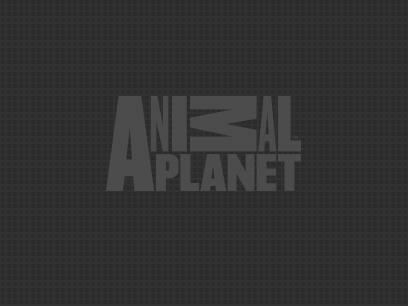 ANIMAL PLANET: What's the Warden Service's mission with Camp North Woods? CORPORAL JOHN MACDONALD: We designed Camp North Woods to give kids of all backgrounds a chance to experience Maine's great outdoors. It's about getting them outside, getting them hands-on and giving them an opportunity to learn about how to conserve, respect and enjoy Maine's natural resources the right way - and to learn it straight from Maine game wardens. AP: What's the game wardens' involvement? CJM: The kids at camp are divided up into teams and each team is lead by a game warden you might see on the show. So for the whole week that team has to work together, learn together, help each other out, and the warden is there to teach them and guide them and fire them up. By the end of the week, they're a little family. And throughout the week we'll have other wardens and IF&W biologists dropping by to teach a skill, demonstrate our K9 detection dogs, take the kids for a ride in the airboat. Any time we have an opportunity to open a window for these kids into the outdoor world, we want to frame it in a way that's consistent with our mission, and most of all that's fun for the kids. AP: What's different about Camp North Woods? CJM: Right from the start, we built Camp North Woods around this idea of 'outdoor ethics.' We want these kids to grow up to be active sportsmen and sportswomen: hunters and anglers and ATVers. Not all of them have parents who know how to do this stuff, or even live in a place where it's possible. Some of them have never held a fishing pole before. We want to equip them with the tools to know how to do it safely; how to do it the right way. AP: What kind of experience can campers expect? CJM: If you can do it outdoors in Maine, you can do it at Camp North Woods. We've got archery, a rifle range, small boats, ATVs. There's a rock wall and a zipline. Fishing, swimming, campfires of course. Again, we want to encourage these kids to get out there and get a little dirty, maybe get outside their comfort zone. We provide a safe environment that allows kids to push and challenge themselves, and then feel a real sense of accomplishment when they break through that personal barrier. We also ask the kids to pitch in and help run the camp. They each get a share of the workload - helping collect eggs, feed the animals. And we find that by asking them to get involved and entrusting them with some of this responsibility, it gives the kids a feeling of being connected, feeling like a valued part of the community, and enables them to take pride in their work and their surroundings. AP: What do you hope to see at the end of the week? CJM: Number one thing, we hope to see the kids go home and say to mom and dad, "hey, can we go fishing next weekend?" And maybe that kid teaches mom and dad a thing or two. Besides that, we have an opportunity here to help these kids grow a little. Sure a lot of them come to camp to see the North Woods Law wardens, and that's a big part of it. But we also want these kids to learn how to rely on themselves and each other, work together as a team. They're at that age where they're just starting to figure out who they are. If we can help them believe in themselves, take those steps and start to form that sense of self-identity, and at the same time mix in a bit of "here's how to be an ethical outdoorsman or woman," then I'd say in a small way we're helping them get off on the right foot. AP: How was the response to last year's inaugural season? CJM: Just awesome. Last year was our test run; we had room for just 96 campers and we filled every slot. This year we're expanding it to 240. There's an all-girls week, July 17-23, and an all-boys week, July 31-Aug 6th, 2016. AP: Who's eligible to participate? CJM: Kids ages 8-12, both Mainers and nonresidents. Parents are invited to join in on the last day. Space is limited so admission is by lottery. Interested campers can enter the drawing by May 9th for a chance to attend. For more information please visit the Camp North Woods website: www.state.me.us/ifw/education/CampNorthWoods. Neither Discovery Communications, LLC nor Animal Planet owns, controls, or sponsors Camp North Woods.